Japan's Naomi Osaka in action during her match against Ukraine's Lesia Tsurenko, Pat Rafter Arena, Brisbane, Australia, January 5, 2019. If US Open winner Naomi Osaka is feeling the pressure of being the newest Grand Slam champion, she's hiding it well heading into the Australian Open. The Japanese star arrives in Melbourne as the world No 4 after a stunning victory over Serena Williams at Flushing Meadows that sent the 21-year-old's profile into the stratosphere. The manner in which she claimed her first Slam was far from ideal－with Serena's furious tirade against the umpire overshadowing Osaka's breakthrough moment. Combined with the pressure of becoming the first Japanese player to win a major and the fanatical support that brings, there were fears she could wilt under the spotlight. 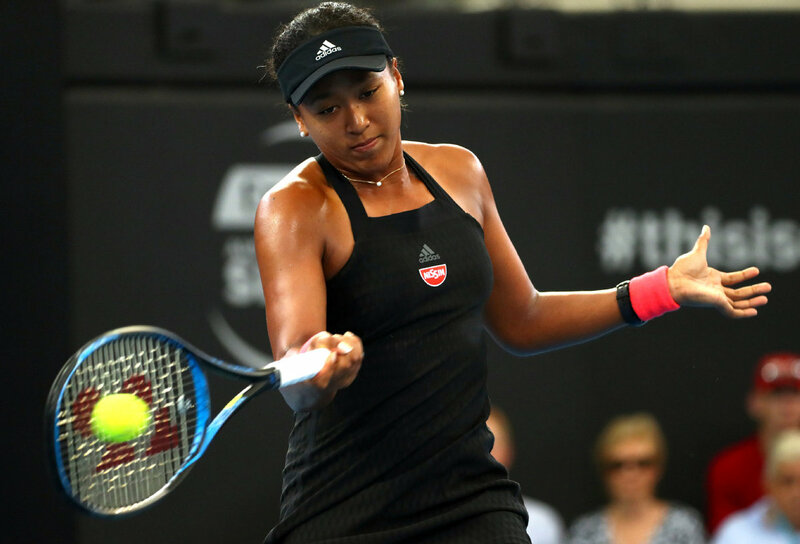 Yet Osaka appears to have put the emotional turmoil experienced in New York behind her and is revelling in her status as standard bearer for the next generation of female players. An indication of the steel that lies beneath her humble demeanor came in her first performance after the US Open, the Pan-Pacific Open in Tokyo, where she breezed into the final without conceding a set. She has also dealt with the off-court attention that tennis stardom brings, joking online with Hollywood heartthrob Michael B. Jordan after revealing to talk-show host Ellen DeGeneres that she had a crush on him. Australia's Samantha Stosur, who won the 2011 US Open, praised the way Osaka is handling stardom and predicted more success for the youngster. "I'm impressed with Naomi, how she won the US Open and then went into Asia and made the Tokyo final," she said. "I know when I won, I had my celebration and barely hit a ball for two weeks and then went to Tokyo and struggled. I just wasn't prepared, I was still living on this cloud. "The expectation on me was really elevated, and it wasn't so easy to deal with. But if Naomi was able to back up in Tokyo I am sure this summer will be good for her too."